Pokémon Go is officially everywhere. From late night talk shows to police issuing safety warnings for players, it's become inescapable in unexpected places. Even the weather isn't safe any longer. 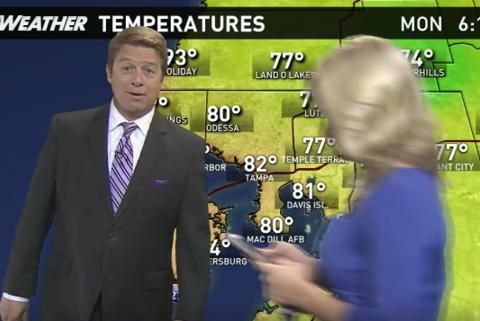 WTSP 10 news anchor Allison Kropff "mistakenly" wandered through the weather report Tuesday night hunting out a MewTwo. Just be sure if you're going to interrupt the news or invade some other public space that it's worthwhile. Don't do it for a lame reason, like a Bulbasaur.